Laflor Living is committed to providing our customers with quality resilient vinyl floor that is sustainable, affordable, and beautiful. Our resilient vinyl floor is the ideal product choice for homes of contemporary or traditional style, active households or quiet ones and young and old alike. We offer an array of designs and colors that allow you to dream of what you want, create the perfect look with a little imagination and live your life as you desire. Laflor Living resilient vinyl floor is a unique, versatile and enduring product which can add a new dimension to any room in your home. Kitchens, bathrooms, laundry rooms, basements and activity rooms are perfect places for our product. Resilient vinyl floor is fashionable, high-tech flooring that offers outstanding advantages to your style, quality and budget-conscious customers. Our resilient vinyl floor are made with state-of-the-art print technology to create highly realistic designs inspired by nature including traditional wood, stone and other natural elements. Its durable and protective top layer can also resist scratches, drops, spills, mildew and stains. If you have pets or small children in the house, this product can handle play time with no problem. Cleaning up after kids or pets requires nothing more than water and a mop. 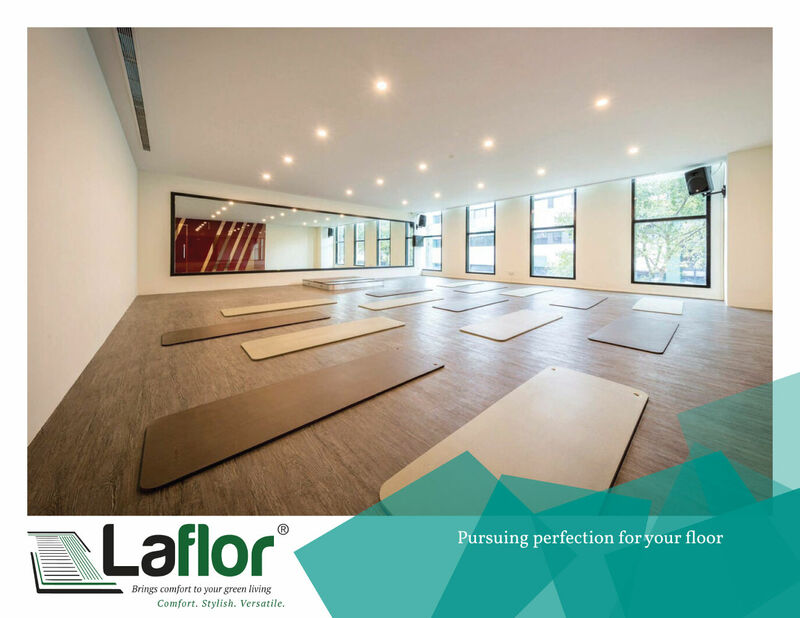 Laflor Living resilient vinyl floor is very easy to maintain. Likewise, it’s beneficial antibacterial top coat ensures a long-lasting protection for your floor with better indoor air quality. It provides an impervious surface throughout the entire area of a room. No crevices or cracks where moisture or dirt can collect, that allows for quick and easy cleanup of dirt, dust and mess. Our resilient flooring also absorbs sound, so there is no noisy reverberation when you walk through your home and this provides a quieter and more peaceful living space. If you haven’t looked at resilient vinyl flooring as an option for your home lately, you may want to reconsider. This product will not let you down. It is versatile, stylish, durable and affordable. Choosing Laflor Living resilient vinyl flooring will allow you to get the look you desire and the durability you need to keep up with your life. A resilient vinyl floor from us will have your friends asking where they can get theirs. Contact us right away for a FREE estimate on your resilient vinyl flooring. We look forward to hearing from you.